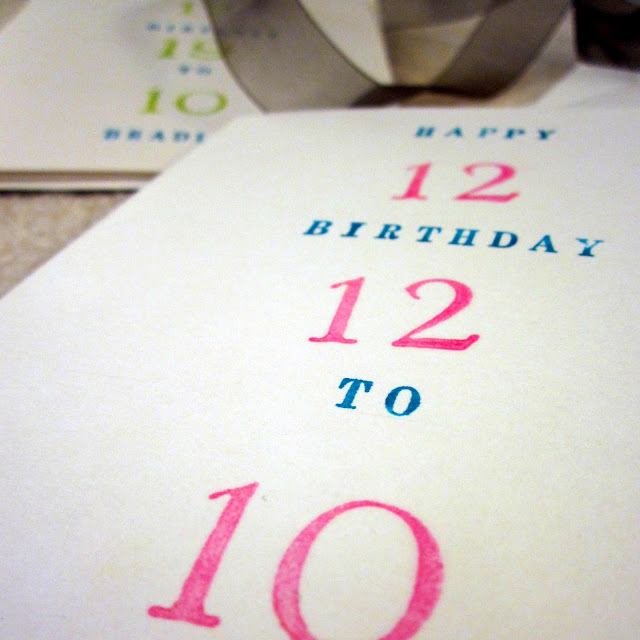 For the December babies, I made some hand-stamped birthday cards to send via snail mail. There were so simple to make. All the supplies can be found at Michaels. 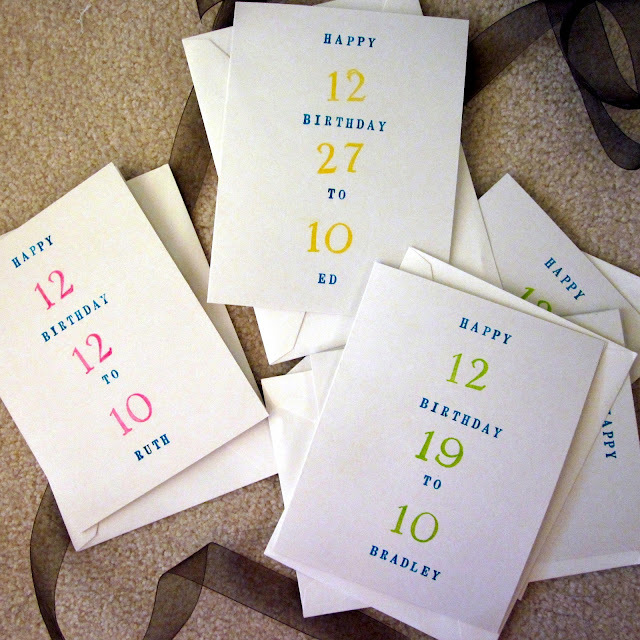 First just draw some guidelines on the cardstock to space out the numbers and letters evenly. Ink your stamps and stamp away. Easy as pie.